Customers expect brands to be actively present on social media. Simply creating accounts and posting some images is not enough to attract prospects to your product or service. It is a common misjudgment that hiring a social media specialist is a waste of money. The right SMM specialist can bring you to the right audience, strengthen your SEO position, improve brand awareness and convert prospects to leads. But the question may arise: who is Social Media manager and what you should pay attention to? 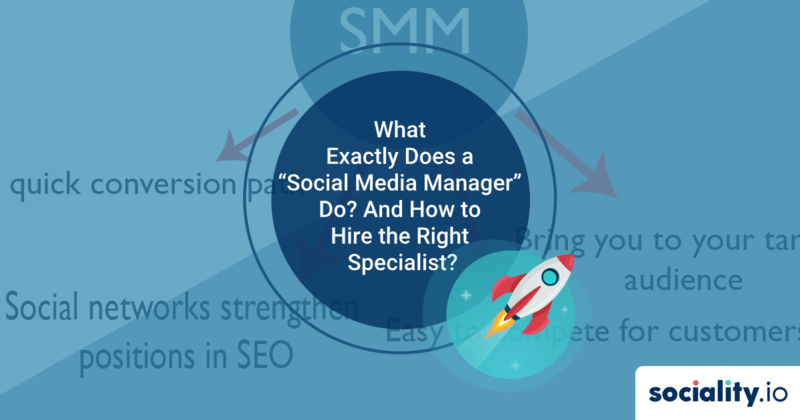 Read this blog, and learn all you need to know from requirements and skills to factors that influence SMM specialist’s performance. According to Hubspot, 92% of marketers in 2014 claimed that social media marketing was necessary for their business, with 80% indicating their efforts increased traffic to their websites. Bring you to your target audience: Facebook, Twitter, Instagram, LinkedIn – all those social media have your audience. Targeting advertisement can help you to find your buyer personas, work on building long-lasting relationships with them, and improve your brand awareness. Loyal subscribers do all the work for you – they share your publications, write posts about you and recommend you to their followers. Easy to compete for customers: social media is the best way to beat competitors and turn their clients into yours. In social networks, your competitors’ followers are your potential customers. Get a chance to show them your brand. Primarily, if your competitors don’t have active accounts, use their passivity and social illiteracy to become a market leader without marketing wars. This is a quick conversion path: A social network is a place where you can bring attention to your followers and redirect them to your site. Share tips, advice, knowledge, experience – make a useful content for your subscribers, and then refer them to your website, where he/she can learn more, read your other content, watch your videos. Social media can drastically facilitate buyer decision-making process. Social networks strengthen positions in SЕО: When your site receives a lot of traffic from social networks, search engines consider it as socially significant. Traffic from social media improves your website rating. As a business manager, you are probably asking yourself who is a social media manager or how to choose the right employee. Social Media Manager performs 2 main marketing objectives – attracting and retaining customers. He uses advertising to attract new targeted visitors to your website or social media page and creates content to maintain followers. Pay attention! Social Media Manager is not just brand awareness and new subscribers. 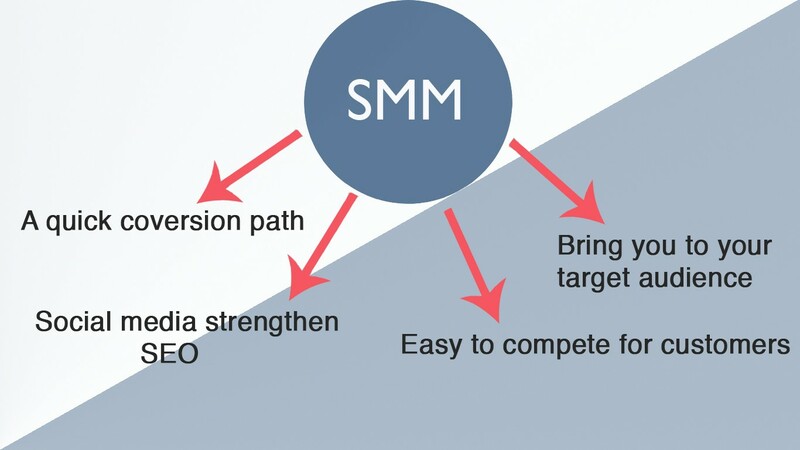 SMM enhances the credibility of your brand, increases loyalty and customer engagement, improve your reputation and search engine rankings – and all this for a low conversion cost. Do you think your primary task in social networks is to get subscribers and make 3 publications per day? 99% of entrepreneurs do business in social networks incorrectly. You need a professional! Creating content for social networks and blogs – texts, photos, videos, infographics, etc. Launch activities – contests, polls, quizzes, games, and other activities to engage with followers. Communicate, listen, and track of followers’ actions on social networks: Facebook, Twitter, Instagram, Youtube, Pinterest, your local social media. The increase in the number of subscribers and visitors. Analyze data and make reports to management. Analyze competitors’ social media and keep an eye on their SMM strategies. This person will do all the work associated with social media. Option 2: Hire multiple narrow specialists. One specialist for advertising, one specialist for content creation, and a designer. But regardless of the option, you need to select the SMM-manager carefully. SO… How to avoid mistakes? And what you need to pay attention while hiring a person, who will be responsible for your brand representation? At first, you might want to start with his/her social profiles. An experienced person will probably have pictures from attending professional events or winning awards and certificates. People often show their best moments on social media. Look at how a person writes and what material he/she reposts. But! You can find a person, who doesn’t have an active profile on any social media. People working in this industry often seat in front of a computer for long hours of communicating with customers and creating posts. So, for their personal time, they might prefer not to use social media at all. You are mistaken if you think that a professional will not hide behind an anonymous avatar or hide any information about himself and his work. People in the 21st century require some privacy, even social media specialists. Instead, you should pay attention to his skills and how the specialist does the job. The ability to write and create engaging and exciting content. Experience in conducting targeted advertising. Knowledge of programs and services that automate and simplify work (for example, Facebook API, Google Adwords). Knowledge of web analytics (Google Analytics). The ability to understand corporate identity and follow it. Knowledge of Social Media Management software. Before the interview, we recommend you to analyze their portfolios of previous projects as well as communication style. The job requires specific personality traits. And it never hurts to ask recommendations from their past managers or clients. Portfolio: Experienced SMM-manager should have a portfolio. It can be a website, a community on a social network, a photo album, a link to a presentation, or something else. Not all the SMM project can be added to the portfolio because it requires permission from a client. Don’t forget to check whether it is possible to verify the authenticity and authorship of his work. Check his recommendations: Your brand reputation will be in the hands of SMM specialist. It is better to spend time figuring out the details now than to regret a lousy choice and lost money. Communication style: The person working in the field of SMM must be able to conduct a dialogue. This is an essential part of his work. Hire a person, who communicated calmly, without emotional outbursts and insults. He will be responsible for interacting with your followers, future clients. You can not allow a person’s emotions to harmfully affect your brand reputation. He has to be respectful and funny. A sense of humor is vital in this job. Performance of SMM specialist also depends on you: You can hire a genius, but he can fail. Why? Many factors affect the success of the SMM specialist. The quality of your product: No matter how great the SMM specialist is, he will not be able to effectively attract and retain prospects if they are dissatisfied with the quality of the goods or services. The degree of cooperation and understanding between you and the specialist: No-one knows your company, product or service better than you. Explain in details how you see your brand and your corporate identity, explain in details your buyer persona. You want you and your manager to be on the same page. The presence of a strategic plan: It does not make sense to work without a plan, strategy, and goals. All this must be prescribed in close cooperation with a specialist. Post social media content at any time: Your followers are active usually after work or during lunchtime. The best strategy is to analyze your followers active hours and schedule posts ahead of time during these hours. In-depth analytics: Simple analytics provided by Instagram insight or Twitter analytics is not enough to have a broad picture of the accounts’ performance. Sociality.io provide users with metrics, data that can be integrated into a company’s future strategies. Sociality.io‘s comprehensive reports show how marketing campaigns are performing, and give insights into the company’s social media presence. Manage multiple social media accounts: Your audience is spread across different networks, so posting across all of them gather a bigger audience. Notice that different media require different content. 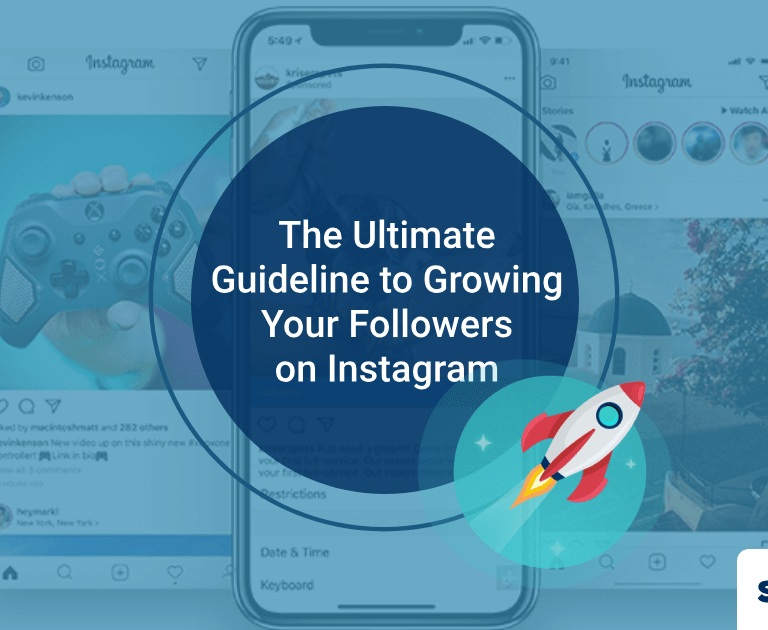 For example, we recommend you to post long, detailed posts on Facebook, funny gifs on Twitter and personal stories on Instagram Stories. Have better conversations: There is a high chance to miss your followers’ messages or comments. Simple social media doesn’t allow you to monitor all your direct messages and comments. (Except Facebook). The Twitter algorithm, for example, shows you only some of your followers. If 100 people followed you in one day, the only limited number would appear in notification sections. Don’t miss your potential customers! According to Social Media Examiner, 97% of marketers work with social networks. 85% of them do not know which tools are best to use. 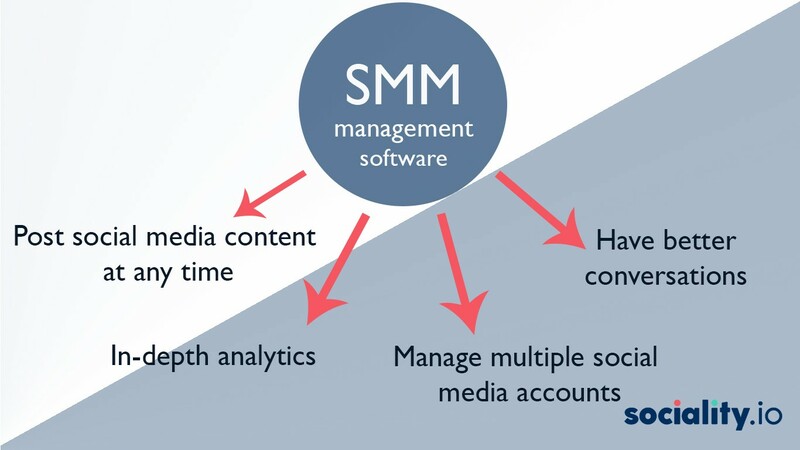 SMMs cost structure: It is common for social media management tools to have hidden costs. Inaccurate Reports: since your marketing strategy relies on these report, the accuracy is vital. Moreover, it is easy to miss valuable social media insights from the use of a wrong SMM software. 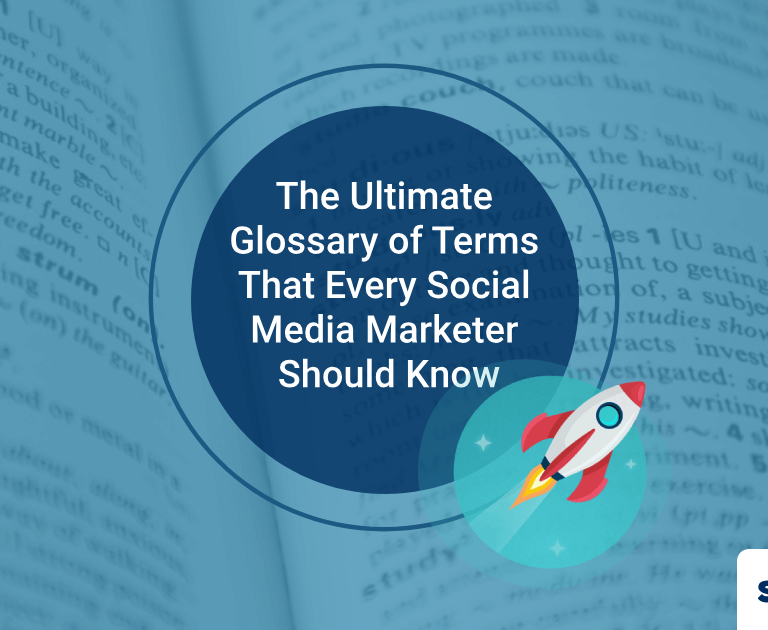 Limited features: Not all social media marketing tools are created equal. Most of them are similar at first glance but have different features. Some SMM tools can improve your performance and bring you to another level. Not all software, for example, allows you to monitor your performance as well as your competitors. It can show you wrong followers growth or engagement rate. If you base your management decisions on these wrong factors, it can lead to wrong future marketing strategies. SMM tool can fail to show comment or a message, which will result in customer dissatisfaction and negative comments about your product or service. The competitiveness of your brands is in the hands of social media manager. You have to choose the right person, who will be responsible for creating content, engaging with prospects and improving your brand awareness. But successful SMM is impossible without using the right tool. Sociality.io is an all-in-one social media management platform that you can publish content, listen to conversations, engage with your customers and measure your performance. 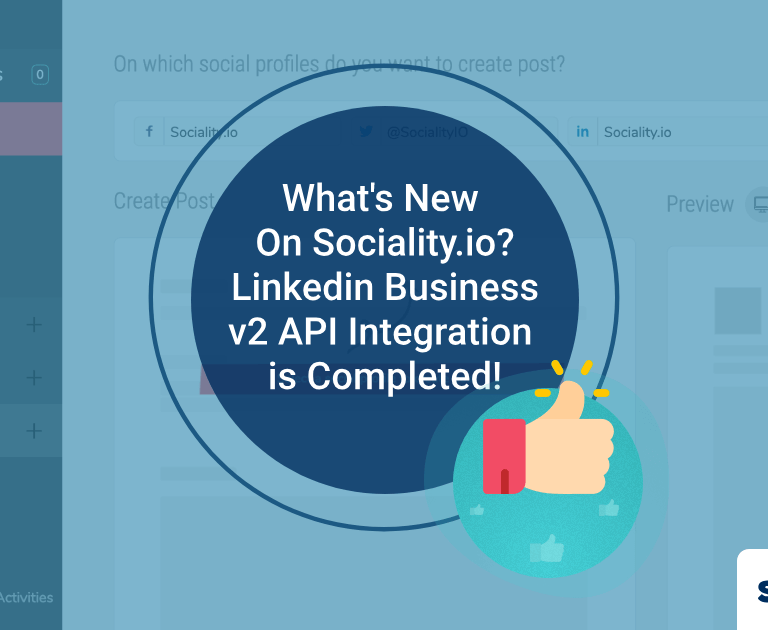 Sociality.io provides detailed reports without extra payment to all social media networks you connect the platform with. Successful social media marketing is impossible without the right tool. Go to sociality.io and start your free trial!